Four Strikes, You’re Out! AMERICA’S GOT TALENT Los Angeles Auditions! 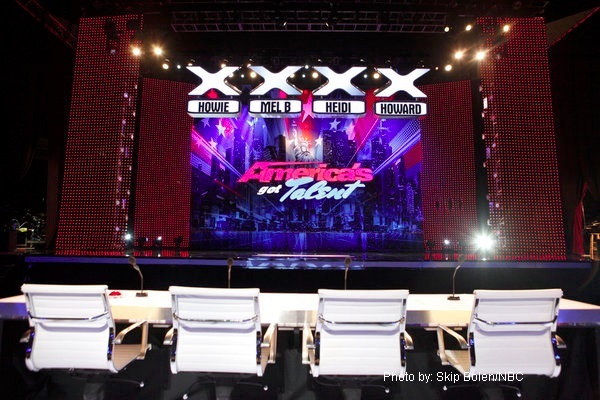 The fans of the world’s largest talent show “America’s Got Talent” in various cities throughout the U.S. have have already gotten to see the judging styles of new judges and lovely ladies super model Heidi Klum (Project Runway) and singer Mel B. (The Spice Girls). Upon their entrance onto the stage at the recent Los Angeles auditions held at the Pantages Theatre in Hollywood, the warm-up host, Frank Nicotero (Oh Sit, Street Smarts) told the audience that they could film the judges entrance onto the stage and to do them all a favor – Tweet it, YouTube it, and all of the social medias above! Nicotero also announced that the show they filmed that day will be the season 8 premiere episode that will air on NBC when “America’s Got Talent” returns on June 4, 2013. The contestants trying-out will move on to the next round which will take place in Las Vegas. The live shows this year will be in New York City at Radio City Music Hall. The judges mentioned to some of the acts that they just couldn’t see them performing at Radio City Music Hall. 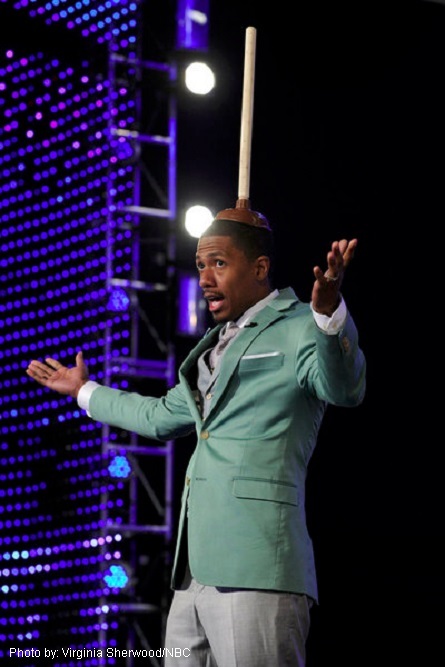 Pictured: Nick Cannon at the Los Angeles auditions. This will be the first season in “America’s Got Talent” history that will have four judges instead of three. That means the format of the game has slightly changed. Instead of only needing two votes to move-on to the next round, contestants now need three votes. If they get two “no’s” and two “yes’s” they do not go through. They go home. Pictured: New judge Heidi Klum at the Los Angeles auditions. First up was a 3D video manipulation group called “Sensation”. They said that they had only been together for one year and that the AGT stage was their first time performing. They were dressed in all white clothing with white helmet on their heads. The young group put on what was a dance number in complete darkness enriched with a glowing light show of vibrant colors with white big cubes on stage. Pictured: New judge Mel B. at the Los Angeles auditions. One contestant was compared to Beyonce! Next up was a young sixteen year old performer named Yani Curry Emery who sang a song while playing guitar. The nervous contestant had some problems hitting her notes. After her performance, Stern reacted by telling her “it was a bad audition.” Emery revealed to the judges that she also plays the piano. Klum said she’d like to see her again, but on the piano. Mel B. stated that she was off-key. 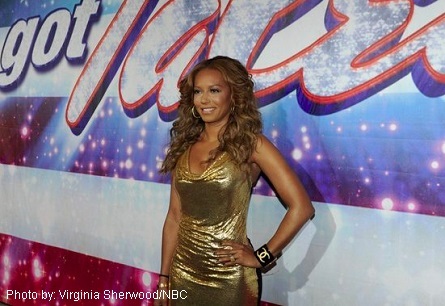 Mel B. asked her if the AGT crowd was the largest audience that she had performed for. Emery said “no” and that she had auditioned for AGT two years ago. Mel B. said she wish she had not told her that. The reason being that her audition was not good and she was nervous. Pictured: returning judge Howie Mandel at the Los Angeles auditions. 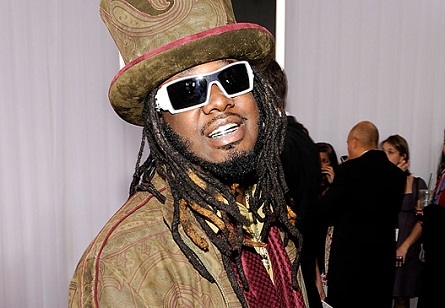 A contestant was inspired by rapper T-Pain (pictured above). 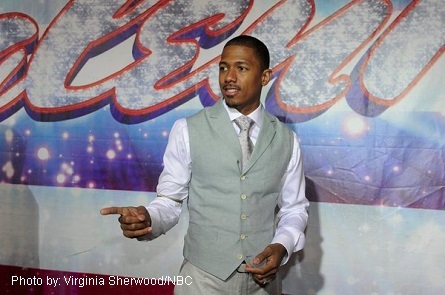 Pictured: Returning host, Nick Cannon at the Los Angeles auditions. A group of four young dancers, two males and two females, presented their acts to the judges. Their dance style, they explained, was a combination of line dancing and tap with some acrobatics thrown in. Heidi got excited and asked if she’d see the girls being thrown in the air. However, during their performance, they had some mis-haps during their routine. One of the male dancers tried to jump over a female dancer and bumped her head. Various moments in their routine were not smooth. An Asian looking magician with a Scottish accent performed his act which was of him escaping out of a straight jacket while singing. Heidi said she got bored half way through his act. After hearing him talk about some of his other acts, Stern said he would have liked to have seen anything else but that. The judges ended-up being swayed to give the magician/comedian another chance. He performed a card trick to try and get through the the next round which takes place in Las Vegas. The next routine of the day was from a dance group called “Vibe” from Utah. They said that they practice everyday for six years. Their ages varied from the youngest being thirteen, and the oldest being twenty-six. They said they do all styles of dance. After their audition had ended, Mandel said, “No, I didn’t think it was good.” Mel B. said that she noticed that “there were some dancers that were better than others. “My attention was to the not so well dancers.” There were screams off-stage followed by her comment. After “Vibe” left the stage, Stern got up onto the stage with Mel B. and said, “Most of you know that I was a dance instructor. It’s not fair to criticize. There’s nothing like a judge who can’t back up what they say.” Stern and Mel B. gave the audience a short dance performance. The judges then left the stage to take a brief break. 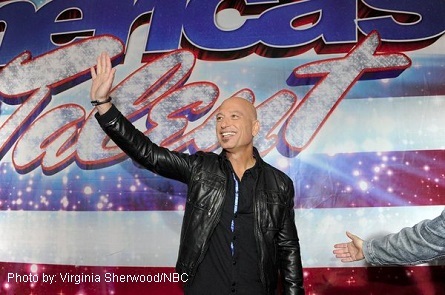 “America’s Got Talent” will premiere Tuesday, June 4 at 8/7 c on NBC.